Maya Healing and Massage. Find out more. Camberwell Sports & Spinal Medicine is a clinic concentrated on the treatment of joint and muscular injuries related to your occupation, your sport or just daily living A multi-disciplined team, we provide the best possible care and expertise in Sports Physiotherapy, Podiatry, Pilates, Osteopathy, Massage and Myotherapy. Find out more. 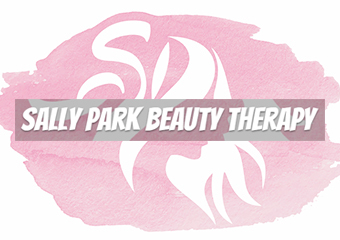 Massage therapy is the manipulation of the muscles, ligaments and tendons in the body to alleviate pain and discomfort and bring about relaxation. . Find out more. Pain? Stress? Fatigue?Sean's Remedial massage can help you!Call now on 0404 56 44 00 to make an appointment (Call may not be answered during session, please leave a message and I will get back to you shortly) Major Health funds rebates available [HICAPS]. Find out more. 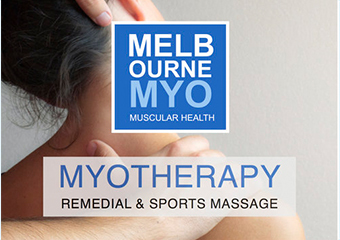 At MelbourneMyo we are committed to providing quality healthcare in the community through delivering patient focused care so you can get the best out of yourself and your recovery. Find out more. 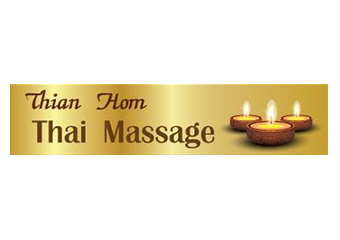 For a beautiful Thai massage experience in beautiful surroundings, book an appointment with Thian Hom Thai Massage in Ashburton. Find out more. Massage - Swedish / Relaxation, Aromatherapy, Beauty Therapy (Holistic), Massage - Deep Tissue, Massage - Remedial, Massage - Stone Therapy, Myofascial Release Therapy, Trigger Point Therapy. Find out more. Massage - Swedish / Relaxation, Cupping, Massage - Chinese, Massage - Deep Tissue, Massage - Remedial, Massage - Sports, Myofascial Release Therapy, Trigger Point Therapy. Find out more. Massage - Swedish / Relaxation, Energy Healing, Massage - Deep Tissue, Massage - Hawaiian, Massage - Remedial, Reiki. Find out more. Only established a year ago, Camberwell Health Clinic is in the heart of Camberwell, right next to the lively and energetic Camberwell Junction It’s a walker’s paradise, with the train station as neighbours Today we have a podiatrist and speech pathologist providing health services. Find out more. Massage - Swedish / Relaxation, Massage - Deep Tissue, Massage - Mobile Service, Massage - Remedial, Reflexology. Find out more. RemedialSportsRelaxation/Therapeutic PregnancyOriental MassageCupping Trigger Point TherapyManual Lymphatic DrainageReflexology ReikiEar Candling. Find out more. 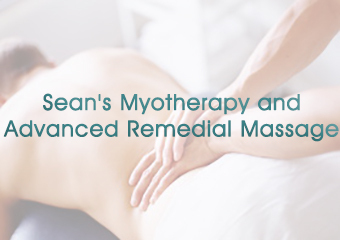 Suzanne is a Myotherapist and Remedial Masseur with 21 years experience She incorporates work with Trigger Points, Myofascial Release and Lymphatic Drainage into her treatments for maximum therapeutic results Relaxation and Sports Massage are also offered. Find out more. Scott Brisbane provides Naturopathy and Flower Essence consultations from two convenient locations in Mitcham and Brunswick. Find out more. Bill Mitchell is a fully trained Remedial Therapist and Naturopath who has worked in Mitcham now for 30 years He has extensive experience in all facets of sporting and everyday injuries and combines soft-tissue massage with his expert manipulative techniques. Find out more. Registered Chinese Medicine and Acupuncture practitioner; Authentic traditional Chinese medicine and Acupuncture; Over 35 years experience in China and Australia; Medibank Member Choice and other health insurance rebates (pay gap fee on site) and work cover. Find out more. 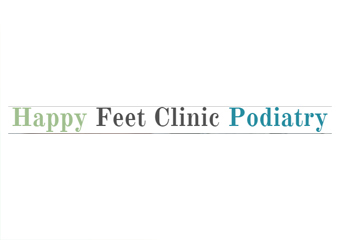 If you are looking for relief from any pain that you are experiencing that is stopping you from feeling and functioning at your best please book in for an appointment to find a treatment tailored to your needs. Find out more. Are you looking to improve you and your family’s health naturally? 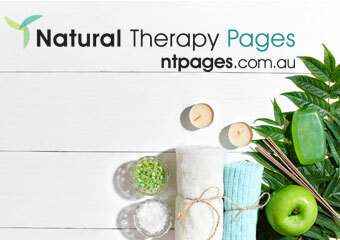 Maria is an Australian Naturopathic Doctor who has been helping people regain their health and feel more energized for over 16 years, using only natural medicines and treatments. Find out more. Restore balance to your body Rejuvenate your energy Remove pain Reclaim your life. Find out more.